Prime Minister Narendra Modi announced in April 2018 that every village in India now has access to electricity. Although this achievement didn’t receive much attention, it’s one of the biggest milestones in the history of energy, according to the International Energy Agency (IEA). Since 2000, around half a billion people in India are no longer left in the dark due to lack of electricity. By the early 2020s, the country aims to have universal access to electricity. 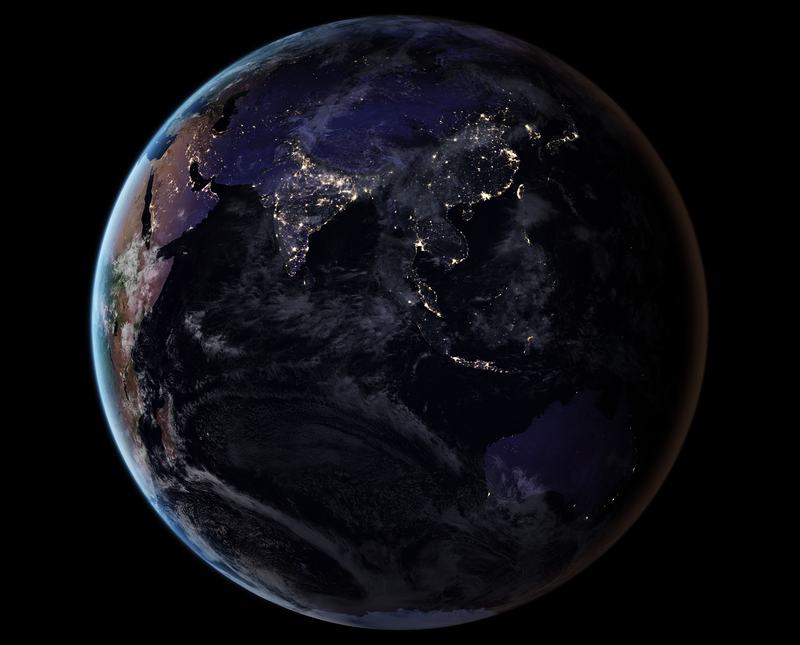 Images from NASA show nighttime lights becoming more widespread in India between 2012 and 2016. Ensuring access to affordable, clean and reliable energy is at the heart of the United Nations’ Sustainable Development Goals (SDGs) because people with electricity are healthier and more connected to the global economy than those without. Electricity allows people to read and do homework after dark, lets fridges keep food fresh, and ensures that vaccines are safe to use. Recent data developed by IEA finds that 2017, was the first year fewer than one billion people were without power. Most of the expansion of electricity grids has been in Asia, where 900 million people have gained access since 2000. In Bangladesh, the electrification rate is now 80 percent, up from only 20 percent in 2000. Access in Indonesia went from just over 50 percent in 2000 to about 95 percent today. There are still major challenges to expanding access across sub-Saharan Africa. The IEA estimates that by 2030, about 670 million people will still be left in the dark, 90 percent of them in sub-Saharan Africa. According to data from Sustainable Energy for All (SE4ALL), 10 countries in sub-Saharan Africa still have about 80 percent or more of the population without access to electricity. Many people who lack electricity use inefficient stoves and wood (or other biomass such as leaves or grasses), charcoal or kerosene fuel sources to cook their food. Using these energy sources indoors generates a lot of air pollution, and is associated with pneumonia, heart disease, stroke and lung cancer. According to Kirk Smith, professor of global environmental health at the University of California, Berkeley, having an open fire in your kitchen is like smoking 400 cigarettes an hour. In total, about 2.7 billion people lack access to clean cooking fuels. According to the World Health Organization (WHO), 3.8 million premature deaths globally could be prevented a year with access to clean stoves. Countries in sub-Saharan Africa and southeast Asia have especially low access to clean cook stoves. In Tanzania, Nigeria and Madagascar, only 2 percent of the population have access to clean cooking fuel. More than 85 percent of people living in Myanmar and Cambodia lack access to clean fuels. The map below shows WHO data on national-level access to clean cooking fuels in 2014, hosted on Resource Watch. Less than 20 percent of the people living in the purple countries have access to clean cooking fuels. The use of wood for cooking is also a threat to forests: 9 percent of forest cover in Kenya has been lost since 2000, in part due to reliance on firewood. Collecting biomass and cooking are responsibilities that largely fall on women, so access to clean fuels can alleviate the burden and health impacts of cooking with dirty fuels. Electricity is the leading cause of global carbon emissions, but surprisingly, it is also the key to reining in climate change. According to the IEA, providing electricity access to every person around the world would actually reduce emissions because burning biomass releases methane, a potent greenhouse gas, and destroys the forests that would otherwise store carbon. Even if the people gaining electricity are doing so by using fossil fuels, they are producing less emissions than they would by burning wood. Electrification also allows for fuel improvements and switching from fossil fuels to renewable sources. As grids get greener, emissions go down. In fact, some rural communities are now turning to renewable sources of energy, as they can be cheaper than fossil fuels. Distributed solar panels and batteries are providing electricity to hospitals in Kenya, which allows them to refrigerate vaccines and safely deliver babies after dark without being connected to the grid. In richer countries, electrifying natural gas heaters and switching to electric cars reduces emissions and lays the groundwork for greener grids, as renewables become cheaper and more widespread. Explore more data on energy access and consumption on the Resource Watch topic page.